Make beautiful, fanciful jewelry on the wood lathe. 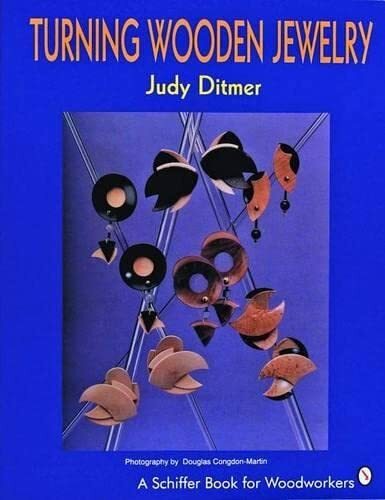 Beginning with the turning of tiny "bowls" by hand from a variety of wood, Judy takes the turner step-by-step through the process of creating this wearable art form. Each step is illustrated with a color photograph and captioned in a concise and informative way. An extensive gallery of finished works is included.